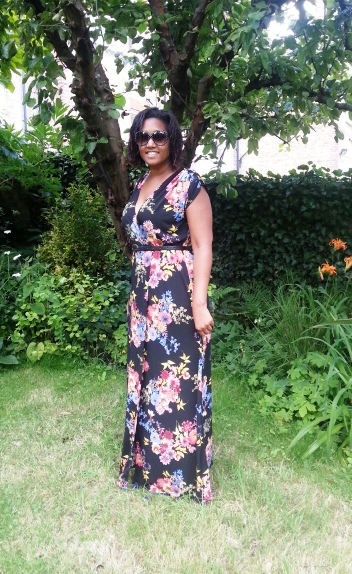 The Summer sewing continues, this time with the maxi dress version of McCall's 6744. I did attempt to make this version of the pattern before here but I ended up having to cut the skirt down. 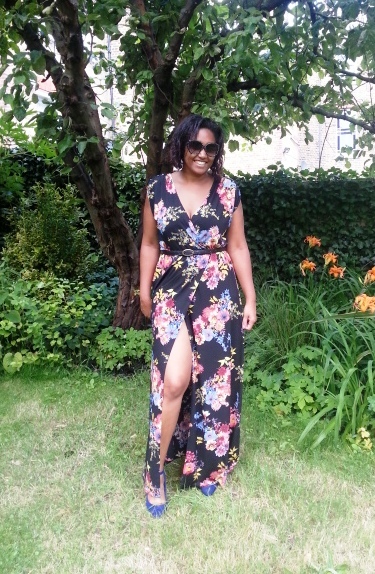 I have been wanting to have another go and finally got around to it as part of my sewing group's Summer Sew-a-Long. This time I managed to cut everything out correctly as I had plenty of fabric. 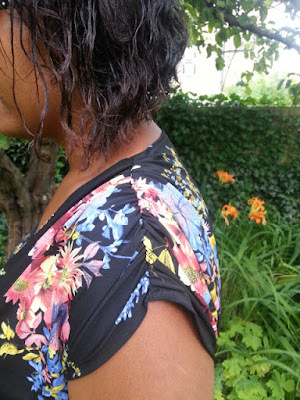 This fabric is an ITY knit from Saeed's Fabrics in Walthamstow. I can't remember how much I paid for it, but I think it was around £4-£6 per metre. It washed and sewed perfectly. In fact I rarely have any problems handling ITY knits. I made very minor alterations to this. I remembered that the bodice had a large amount of ease last time so I cut a small and graded out to a medium on the hips. I graded in 1" in length on the bottom of the bust which I count as my lazy FBA. Lastly I added a couple of inches on the bottom so I could wear this with heels. FYI I am almost 5 ft 8" so it is rare that patterns are every floor length for me. 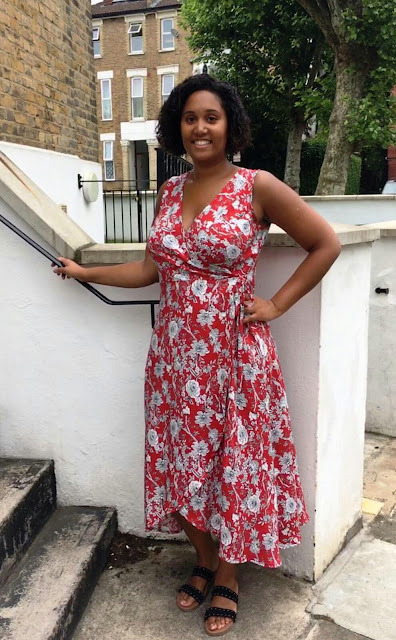 I am planning on wearing this dress to a wedding this summer and then I plan to take up the hem an inch so I can wear it afterwards with flats. This is a super simple dress, but I love the details such as the elasticized shoulders and front split in the skirt. Incidentally I didn't have enough fabric to pattern match the front but it worked our pretty well! I also appreciate that neckline is not too low and how the Grecian style makes this garment feel very elegant and feminine. Here is a close up of the shoulders. I have a couple of other summer dresses and a skirt cut out on the sewing table. Just by looking at the fabrics I can tell that I see them as transitional items that I can wear with tights later this year. However, the sun has finally come out in London this week so I am going to be wearing my summer makes as much as possible in the meantime! You can view my Pattern Review here. How has your seasonal sewing been going? Anyone started making Spring/Autumn sewing plans yet? You look beautiful in this gorgeous dress. What a beautiful fabric too. I saw the photo of the dress on the Club Summer sewalong site and loved it. I like it even more having seen the shoulder detail. I'm glad you are shortening the dress only a little bit as I love the way the dress shows off the beautiful fabric. 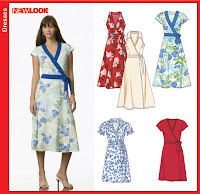 Pattern Review: Vogue 9251 As the #makeyourstash challenge has been happening this May, I cut out a couple of long time stash fabrics to try some new patterns. The first one was Vogue 9251. 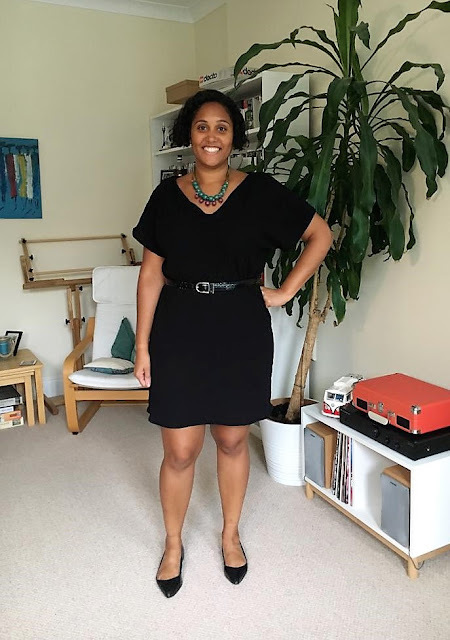 This dress ticks 2 boxes as not only is it a #makeyourstash dress, but also my 5th #2018MakeNine garment. 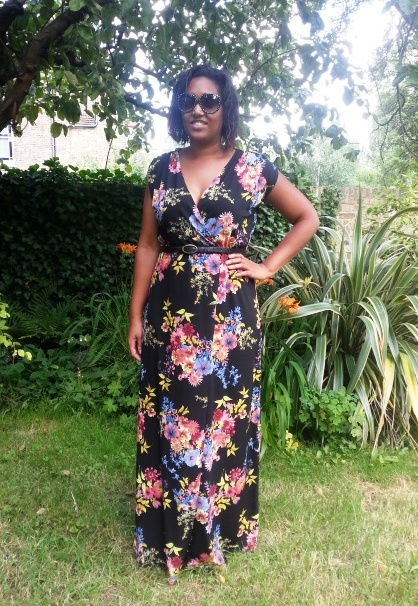 The fabric was purchased at The Great British Sewing Bee Live, which took place in September at the Excel in London. I was pretty restrained, and only picked up one piece of fabric - this floral polycotton priced at £5 for the whole lot. I was drawn to the floral print, but I hesitated when deciding what to make with it as the flowers are very directional. Whilst snooping my stash I thought that it would be perfect for a muslin for this woven wrap dress! Despite some niggles with the bodice (listed below), I really love the style of this garment. It is flattering for my pear shape, is easy to dress up and down and fits with so many of my other wardrobe accessories. Pattern Review: Simplicity 6413 I pulled out a black knit fabric when I initially was looking at fabric for the #MakeYourStash challenge. I had the idea for simple cardigan or wrap top, but I didn't have any patterns that I felt would work best. 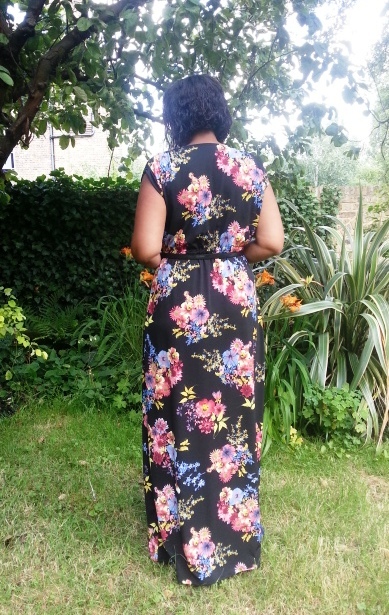 In the end I went with Simplicity 6413 which has also been in my stash for a while! Hilariously, you can't see any of the details of the fabric in these pictures - so I won't bore you all with too many. It was essentially a diamond textural print which was pretty was sheer, almost like lace. I am pretty sure that I picked it up from Goldhawk Road years ago. I underlined the fabric with some black stretch lining from my stash. In hindsight I wish I had underlined it with a contrast colour. You live and learn. After sitting on the fence for ages I have finally decided to document my sewing projects somewhere. Enjoy!